Every year it seems that more archive material is unearthed from Soft Machine, the legendary British group that began life in Dadaist psychedelia, but wound down as a powerhouse, chops-centric, fusion outfit at the end of the 1970s, with stops in more complex writing and free jazz territory along the way. As influenced by minimalist composers such as Terry Riley as it was by trumpeter Miles Davis' electric jazz proclivities, the majority of live material issued during the noughties has focused on the classic lineup of the early 1970s, surrounding the group's Third (Sony, 1970) and Fourth (Sony, 1971). Live recordings have been found from other incarnations, but what makes the CD/DVD combo of NDR Jazz Workshop: Hamburg, Germany May 17, 1973 so important is its first-ever live documentation the quartet responsible for Seven (Sony, 1973). When bassist Hugh Hopper left the group after the double-LP set (one live, one studio) Six (Sony, 1973), the group came increasingly under the influence of keyboardist/reed man Karl Jenkins—who had replaced another "classic" alum, saxophonist/pianist Elton Dean following Fifth (Sony, 1972). Jenkins, himself an alum of another early British fusion outfit, Nucleus, brought a more riff-driven approach to the writing, in contrast to founding keyboardist (and only remaining original member) Mike Ratledge's denser, more idiosyncratically arranged compositions. Drummer John Marshall—another Nucleus recruit who replaced founding drummer Robert Wyatt after a brief dalliance with Australian drummer Phil Howard on the early sessions for Fifth—brought greater virtuosity to the group, making its gradual move to fusion powerhouse nearly complete. But it was Hopper's replacement—the more rhythm section-focused, six-string bassist Roy Babbington—who in many ways positioned Soft Machine for its most successful and impressive post-"classic lineup" disc, the guitar-heavy Bundles (Harvest, 1975), featuring a relatively young and unknown Allan Holdsworth. Recorded a month before sessions for Seven began, the majority of NDR Jazz Workshop's material is culled from Six, but what differentiates this set from others featuring Jenkins—such as Softstage: BBC In Concert 1972 (Hux, 2005)—is the inclusion of all the material from Six's studio disc, where each member wrote a track (in the case of the fiery "Stanley Stamp's Gibbon Album," a collaboration between Marshall and Ratledge). 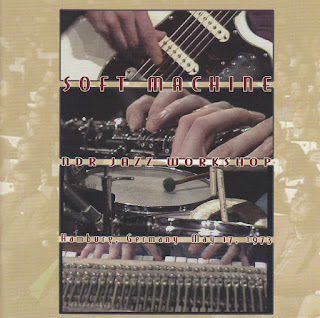 What's perhaps most notable about this particular incarnation of Soft Machine at this particular moment in time is that free improvisations were still a part of the picture, largely used as transitional segues between composed pieces. "Link 1" and "2"—edited together on the CD. As the only existing live documentation of this particular incarnation of the ever-changing Soft Machine (no two albums featured the exact same lineup), NDR Jazz Workshop: Hamburg, Germany May 17, 1973 would be an important enough find. Most significant, however, is that it more clearly positions a line-up often considered, based on Seven, as nothing more than the transitional and, perhaps, incomplete group that only truly found itself again with the recruitment of Holdsworth for Bundles. 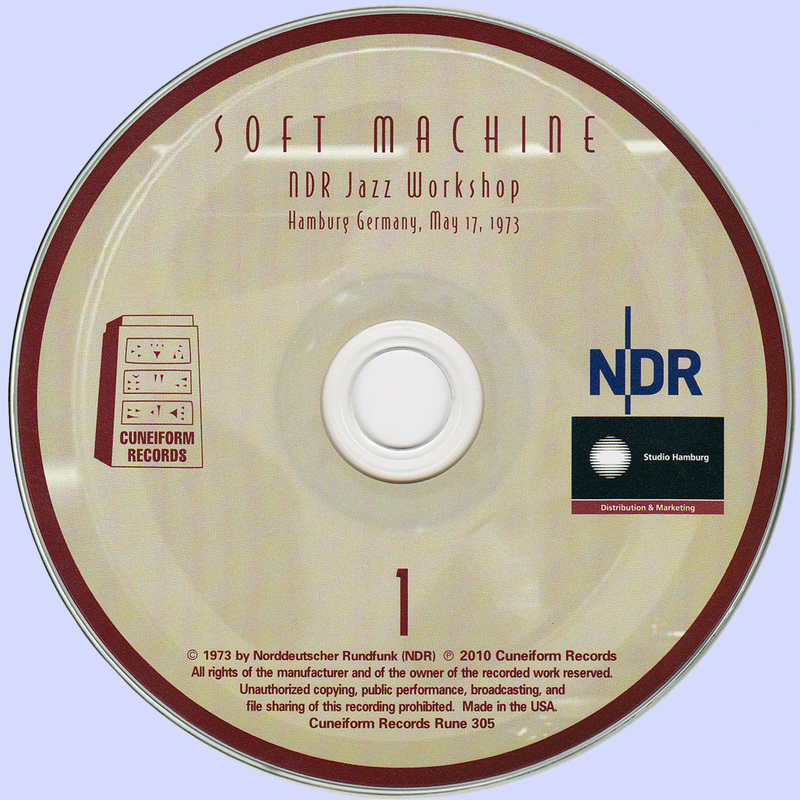 While the majority of NDR Jazz Workshop does, certainly, feature a larger, guitar-heavy setting that foreshadows what was to come, the opening set that features the quartet alone makes clear that this was, indeed, a version of Soft Machine with its own strengths and inimitable charm.